It’s remarkable how many plot threads Supergirl ties up in its winter finale. It’s so neat, it almost feels like a complete season in miniature. Almost too neat, actually: Its tidy resolutions leave some of its characters with no clear direction for the dozen or so episodes in store when the show returns from hiatus. But that’s a problem for next year. Despite a few missteps, Supergirl is closing out one of its most confident and satisfying stretch of episodes on a high note. Unlike last season’s “Myriad,” the mystery behind Project Medusa is revealed in short order: It’s a virus developed by Zor-El, Kara’s father, to target and kill all non-Kryptonian alien life. Mon-El experiences it firsthand at the alien speakeasy, where Hank Henshaw appears and releases the virus in gas form, killing many of the bar’s patrons and infecting Mon-El. 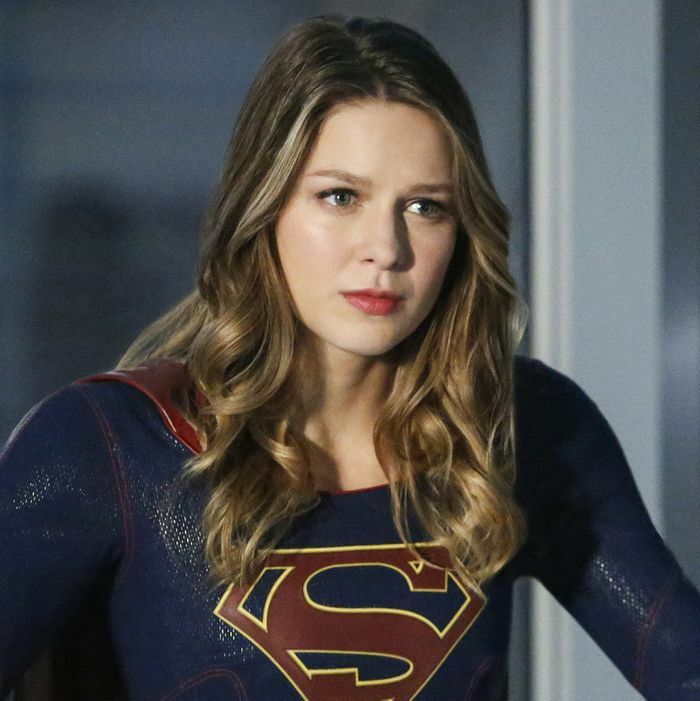 Team Supergirl learns that Hank is working with Cadmus to release Medusa over all of National City, wiping out the city’s entire alien population. Supergirl isn’t playing coy with this plotline. It’s big, finale-style stuff, with stakes and emotions running high and a sudden reversal from Lena Luthor saving the day for everyone. But it wouldn’t land if it weren’t anchored in the excellent character work the show has developed all season. So much of Supergirl’s second season has been about confronting your legacy. This is something Kara dealt with explicitly as she worked and fought alongside her cousin in the two-part premiere, and then more subtly as she reluctantly took Mon-El under her wing and had her cultural prejudices laid bare while seeing how another species saw her race. It’s something J’onn J’onzz saw slipping from him, as his identity was literally being erased when White Martian cells rewrote his very body. It’s what Lena Luthor has, in her brief but great screen time, battled against for bearing the Luthor name. It is, to a lesser extent, what Alex worries about as she struggles to come out to her mother, fearing she’ll disappoint her. “Medusa” addresses each of these, to varying effect. Lena reconnects with her mother after finding out she’s leading Cadmus, appearing to side with her evil plot until the very end when she sabotages the plan to turn Mrs. Luthor in. J’onn accepts his fate to help save the day and fight Hank Henshaw as a hybrid Green/White Martian that’s starting to look more like the latter. Alex embraces her identity, and acknowledges that being gay is her “new normal,” while Maggie apologizes for being such a wet blanket. “We should be who we are and we should kiss the girls we want to kiss,” Maggie tells Alex, moments before they kiss. Speaking of kisses, Kara and Mon-El have now traversed the entirety of loathe/love spectrum and I don’t want to talk about it. Neither does Mon-El, who pretends to have forgotten their make-out session, chalking it up to his bout with the Kryptonian virus. Which, by the way, Eliza Danvers (hello again, Helen Slater!) is able to reverse in Mon-El and use to synthesize a cure for J’onn, turning him back to his full Green Martian self. I’m fine with this, I guess, but it was also the only thing J’onn had going for him right now. Sure, he could conceivably spend time trying to connect with M’gann, or dealing with the implications of the real Hank Henshaw — who escaped and is MIA — but it’ll take a bit of work to get a story as personal as J’onn literally turning into the thing that killed his family. Meanwhile, despite being billed as the first in a four-part crossover, “Medusa” has very little to do with this week’s grand CW superhero event. We only get a small — but wonderful — scene at the end where Barry Allen and Cisco Ramón from The Flash arrive in Kara’s apartment through a portal from their universe, asking if she’s willing to return the favor he extended the last time he jumped into this world. Although I won’t be writing about it here, I’m pretty damn excited to see what that looks like. Again: I’m kind of coming around on Mon-El, but man, do I hate the idea of him and Kara pairing up. Bring Jimmy back! Jimmy and Kara 5ever. Speaking of James Olsen, he and Winn are largely absent from this episode barring a brief, funny, Thanksgiving argument about whether they should tell Kara about moonlighting as Guardian over the dinner table. “Medusa” ends with Lillian Luthor arrested and Cadmus seemingly on the ropes. I doubt they’re done (and I’m still hoping for a Superboy subplot to come from this), but other than finding Jeremiah, there doesn’t seem to be much pressing Kara and Alex to go after the organization at the moment. There is, however, a new threat looming on the horizon: An alien spacecraft closes in on Earth, looking for the pod that carried Mon-El. You almost certainly noticed, but it would be remiss of me not to mention that the alien speakeasy played a sultry acoustic cover of “Smooth,” the hit song by Rob Thomas and Carlos Santana that spent a few days as 2016’s most popular meme.